I always knew that it was cheaper to eat healthily than to eat junk food! 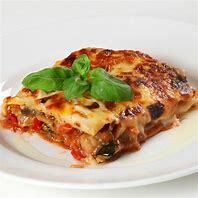 It's not rocket science, you only have to see broccoli at 49p or cauliflowers at 57p on the shelves of the supermarket, to know that you can save loads of cash by eating fresh food, So why is the press suddenly making the topic headline news? 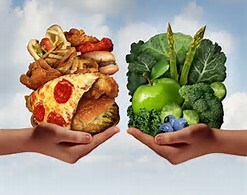 This week's UK press releases are full of comparisons between unhealthy food and healthy alternatives, sharing price differences with readers. Claims that Brits are getting fat because junk food is cheaper than healthier options are suddenly being debunked, according to studies published this week. Haven't we always know such claims are rubbish? A healthy dish of rice, fruit, chicken or vegetables IS cheaper gram for gram than burgers, crisps and ready meals. Do we need the press or scientists to tell us? It is reported that researchers have pontificated on the fact that £1 spent on a cheeseburger could buy a kilo of sweet potatoes (even cheaper on a market stall), two kilos of carrots or two and an half kilos of pasta.The study by the Institute of Economic Affairs argues that price is not a deciding factor for whether people eat healthily. However, health campaigners have hit back, calling the study non-sensical, (and I agree). We know that a diet of rice, white meat, fruit and vegetables is much cheaper than a diet of Sugar Puffs, ready meals, red meat and fast food. But supermarkets push unhealthy food through promotions, and junk food companies spend millions of pounds on advertising, particularly aimed at children by using cartoon characters. I haven't seen an advert yet for broccoli! It is a myth to suggest that obesity or unhealthy eating is a symptom of poverty and cheap junk food. There is a high rate of obesity among people on middle and high incomes, and rates among men are actually highest among middle income earners. The research claims that the correlation between deprivation and obesity is only seen among women. IEA's study was based on price comparisons for 7 products sold by two supermarkets, and in general, foods high in fat, sugar and salt and calories were more expensive. It also said that eating the recommended five portions of fruit and vegetables a day could cost as little as 30p. Common sense, I say! 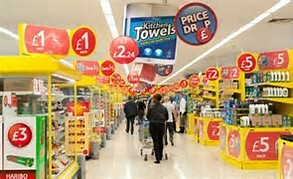 However, as I have said the IEA research has not acknowledged the power of the supermarket offer, or advertising, as 40% of what UK shoppers buy is on promotion, and typically much of those special offers and end-of aisle displays are for foods high in fat, sugar and salt. One important factor that all this research and debate has failed to mention is - do shoppers know how to cook healthier food? 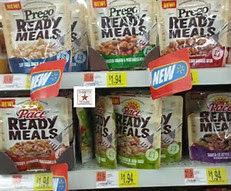 A ready-meal simply goes in the microwave. but a cauliflower needs time preparing and then cooking. 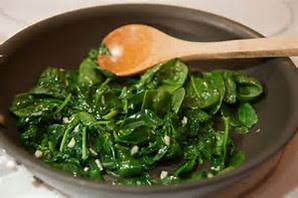 My wife told me recently of attending a food course for cookery teachers and 70% of those teachers boiled a saucepan of hot water to cook spinach! And these folk are teaching our kids to cook? Enough said!